Are you looking for easy and cheap ways to decorate a bedroom? Then you have come to the right place. Here we will discuss ideas and easy ways to spruce up your bedroom without spending too much. One of the trendiest and easy ways to decorate any room is to add tons of cool wall art. Not only is it a fun project for the whole family; you actually end up with a cool room having walls decorated with your own stuff. Printed wall paper is often expensive to decorate with. As an alternative, you can add gold foil to your bedroom walls or even the ceiling. 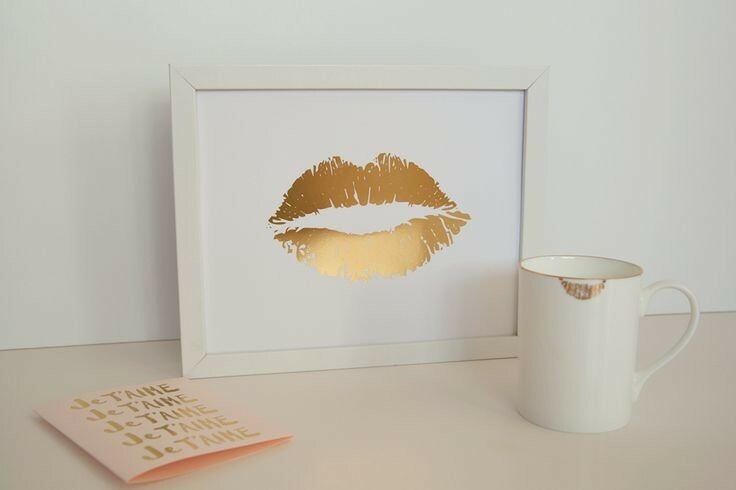 Gold foil prints look especially great propped up near a nightstand or behind the bed. This is one of the cheap and easy ways to spruce up your bedroom. Addition of picture or photo frames is another of the most popular, easy and cheap ways to decorate a bedroom. You can go all out and buy professional art work frames of different shapes, sizes and colors or you could get the kids to draw pictures which you can get framed to add on the bedroom wall. By arranging frames in a unique fashion in a pattern, you can create a central focal theme that draws the viewer’s eye to it. You can also put family photos on this frame wall. The possibilities are endless and you can use them as an opportunity to turn the things you love into art for your bedroom. 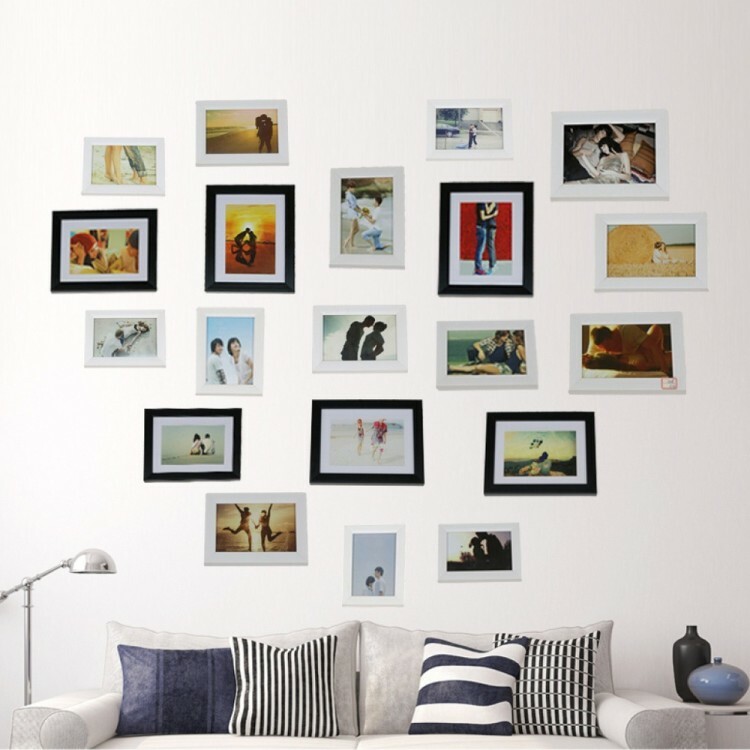 You can also make a heart shaped picture collage-the ultimate way to personalize and decorate a bedroom within minutes! This is especially a creative, relatively cheap and easy way to decorate a child’s bedroom. 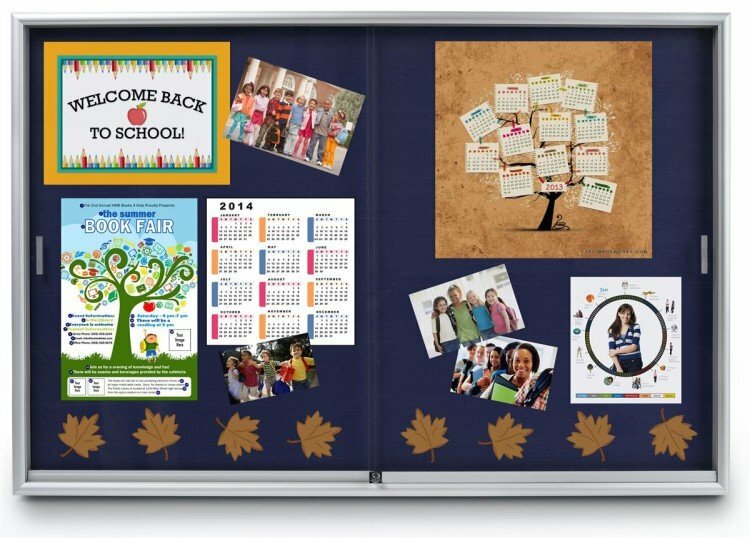 Bulletin boards are available in various colors and can be used for displaying grades, photos, and even study materials. Girls and boys can even personalize the bulletin boards by using colors that match the bedroom’s décor and adding fabrics they love. Ordinary cork boards can also be converted into fun fabric bulletin boards as a DIY project. Here is a site that can help you convert ordinary corkboard into fun fabric boards. 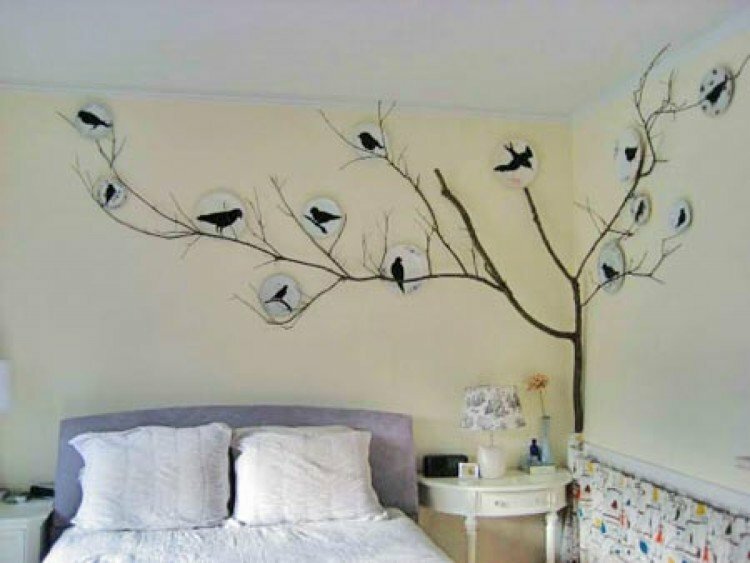 Wall decals are a rage and you can buy stickers to decorate and easily spruce up your bedroom or make your own decals. You can easily make a DIY wall decal with some paper, glue, paint and glitter- a wonderful project for a lazy afternoon. Get as creative as possible by different shapes, patterns, geometric shapes, butterflies, birds in flight or flowers etc. This is one of the fun and easy ways to spruce up your bedroom. Sometimes, the best and easy ways to spruce up your bedroom is to go in for completely new furniture. For example, the bed is the most important aspect of a bedroom. If you have the budget and the space for it, why not go in for a large canopy bed or a four poster bed? Alternatively, you could add a vintage, decorative headboard to an existing bed. You can also consider upholstered footstools or side tables, new lampshades, chandeliers etc. Adding soft romantic lights can also take your bedroom to a whole new level. 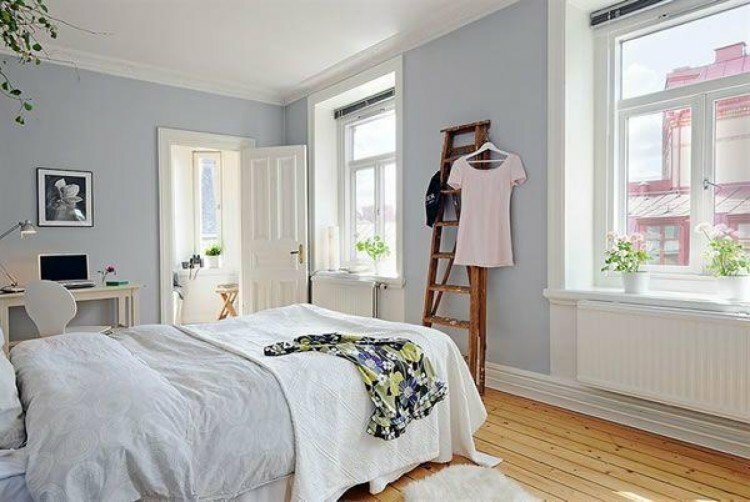 Painting the bedroom walls is another quick and easy way to decorate the bedroom, especially if the existing bedroom paint is chipped or peeling. Adding a new wall paper can also do the trick. All these can be DIY projects or you could get in professional decorators. For a huge bedroom, you might consider adding a comfortable sofa in matching colors. The flooring is often an overlooked aspect of bedroom redecoration. Old floorboards can look ugly and also impart dullness to a given room. By changing the flooring, you can greatly spruce up the bedroom. If you do not have the budget for making such a huge change, you could simply add a new rug to add drama and color to the bedroom. This is one of the easy ways to spruce up your bedroom. One of the most eco-friendly and easy ways to spruce up your bedroom is by adding small plants around the room. Flowering plants can help make the bedroom fragrant and also help you sleep better at night. Many plants help add humidity to the room to counter the winter dryness. You can consider placing small potted plants on the windowsills or overhead on the ceiling beams. Some plants like Aloe Vera are completely maintenance free and do not create a mess. Some of the best varieties of plants to place in your bedroom are: Jasmine, Aloe, Bonsai, Gardenia, Moth Orchid, Snake plants, Parlor palms etc. We hope these 8 easy ways to spruce up your bedroom help you create a romantic and inviting space without spending too much time, money or efforts in the process.